WordPress offers the possibility to have comments in pages. But in most cases, comments shall rather be used on posts and you might want to deactivate them in pages. In the Hueman theme, comments in pages are disabled by default. Open the live customizer, navigate to the Main Body Design > Comments and check the Pages Comments option. 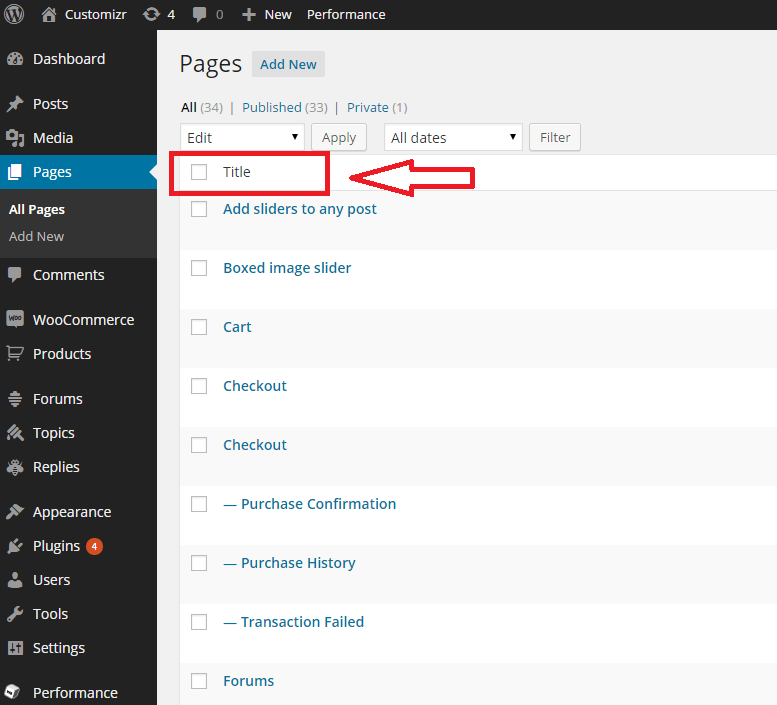 In your WordPress admin, navigate to the pages screen : Pages > All Pages. Click the checkbox on top of the title’s column like in the picture below. This will select all your pages. 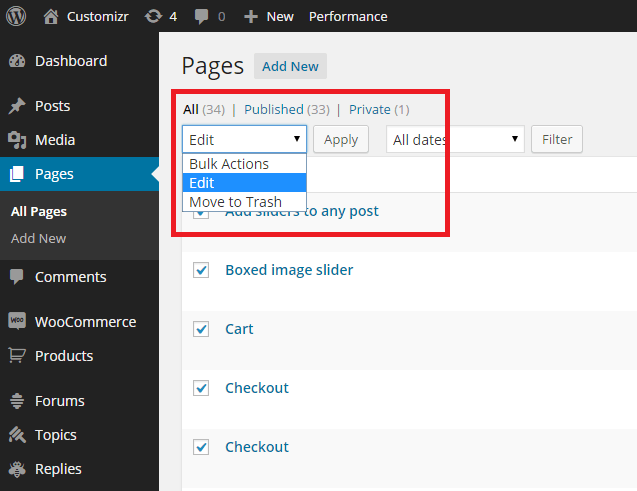 Then, open the Bulk Actions dropdown list like in the picture below, choose “Edit” and click on the “Apply” button. At this point you should see a Bulk Edit block with all your selected pages on the left, and a list of dropdown options on the right. Open the “Comments” dropdown list and select the "Allow" option (see the screenshot below). Then click on the “Update” button at the left bottom corner of the Bulk Edit block. 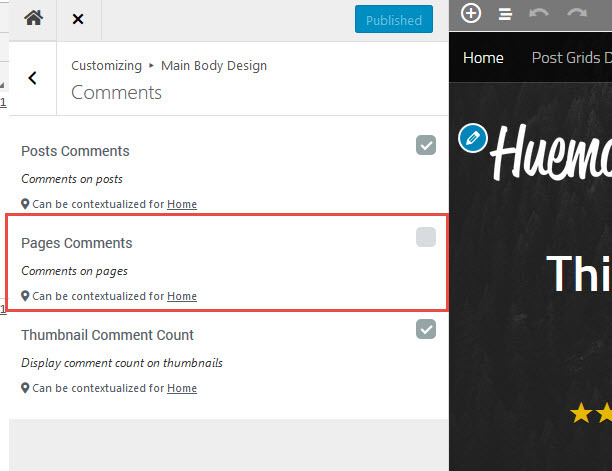 Now your pages won’t display any comments or comment form anymore. If you only need to enable the comment in one page, then it’s even simpler. In the Page Screen (navigate to Pages > All Pages), hover the mouse over the page title for which you’re willing to enable the comments. It will reveal some options for this page : Edit | Quick Edit | Trash | View. It will open an inline edit block under the page title where you can set some items in the page like the Title, the url slug, etc. Check the “ Allow Comments” checkbox to enable comments for this page.